Most people have bad debt management skills and are swept away with the fact that they have ‘x’ amount of pounds as their limit. They rarely consider paying the card and have “maxed” the card out in a few months. They then spend years trying to repay the card! Not content with having one credit card that has reached its limit, most of us jump at the chance to apply for a new card as soon as it is offered to us. Then, having learnt nothing from our previous experience, we rush and buy all the things we couldn’t because we had to save money to repay the first card. Suddenly we have twice the trouble! At least with purchases made for goods and services we should get around 50 days interest free credit, but with a cash advance we start to pay interest from Day 1. Using your credit card to cover your day-to-day cash needs is a very costly mistake! Credit card companies love us and it has to be their favorite of the common credit card mistakes, but with credit card interest rates as high as they are, if you are only making the minimum monthly repayment then you should know it’ll take you years to repay the debt and you’ll have repaid the debt many times over in interest payments! Another common mistake and one that half the country is at fault of is maxing the card out. 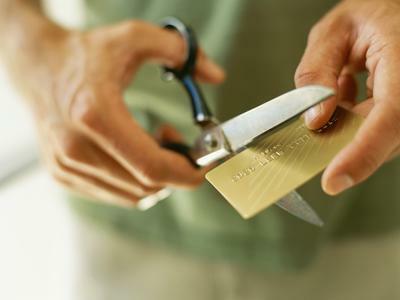 If you have maxed your credit card out it’s a sure sign that you are living beyond your means, so what hope have you got of repaying the debt without a radical overhaul of your debt management skills! Late payments subject you to extortionate interest rates and set fees, very profitable for the credit card company and a very unfortunate mistake for you to be making! A common error when we start to feel the pressure of a debt burden is to start to ignore the fact that the debt exists in the first place. If this happens, the chances are the fees and charges will start to accrue and the next thing you know you are not making the minimum repayments. Suddenly you are the subject of more fees and charges. And so the cycle goes on! Although some may not consider this a mistake, if you add a secondary user to your credit card account you’ve suddenly lost control over the spending on your card – no matter who the person is. Now bills can rack up on your account without your normal controlling self, as they are being transacted by a third party (who you authorise). A credit card company’s dream. For every overseas purchase you make you could be subject to fee and a lousy exchange rate. So, even if you are the perfect credit card customer and pay your bill in full and on time, suddenly the card issuer is making money out of you! In your haste to get a credit card you have not read the terms and conditions of the agreement and so you are not aware that if you act in a certain way or do something you should not, then you are likely to be paying for it. But the real reason why this is on of the common credit card mistakes that issuers love to see is because if you don’t read the agreement carefully they can charge you for additionals you may have been able to opt out of – such as credit card insurance (a big earner for card issuers! ).